You might have other tests to suggest and we will sure do like to hear about those and maybe add them to this piece. Got the same results in terms of toughness and how quickly it is to dry. Might share the first place with the ape if a price would have been added as a factor. A great surprise on breaking point test compared to the price. Took the last place and deserved it… very slow to dry compared to the other and was the first to break down on the ‘how strong’ test. 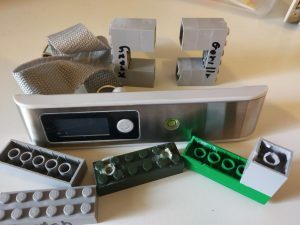 How did we test it? 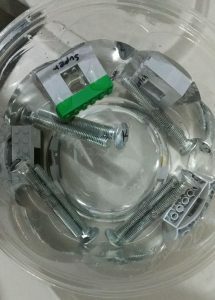 The metal which is represented by a pack of 2 heavy screws. This one it an interesting one, I believe that the awkward surface and the weight on the metal will be a challenge to hold. All 4 products did a good job. Leather – for that we used… leather 🙂 Why? mainly because it can react as a sponge to the liquid and it will be interesting to see how the different products will react. Bottom line, they all failed 🙁 Initially it seems like the Gorilla will be able to do it and it was easy to work with its gel form but after a day it broke down easily. 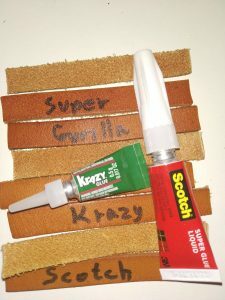 Super glue for leather? no! look for other adhesives. Why those materials and not others? Just because we think those are the things we fix the most. Maybe in a later stage, we will add rubber and glass. 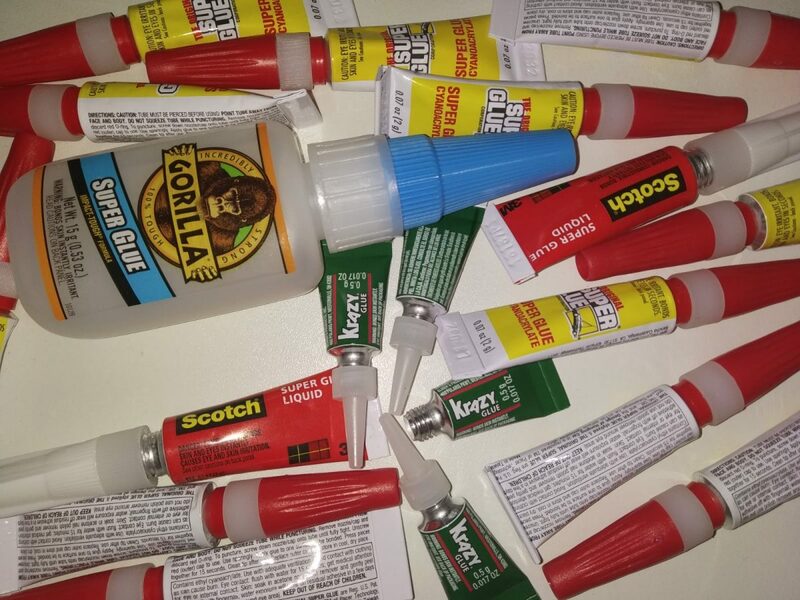 In term of glues, we just acquired the most basic versions. Different and more advanced version will surely behave differently but it is an endless matrix of option that we do not have the capacity to check. For the third and ultimate test, our brave gunnie pig allowed his fingers to get glued and gave us his impression about the strength of each candidate. Rest assure that he thoroughly cleaned his fingers with acetone between each test. Final result: no change at all. All remain solid and it seems like plain water has no effect on the stickiness. The goal of the second test was to check the sealing abilities of the materials on cracked and open surfaces. Sadly none of them did any good. A 1mm hole was too much for them and even the gorilla gel didn’t make it. Bummer. 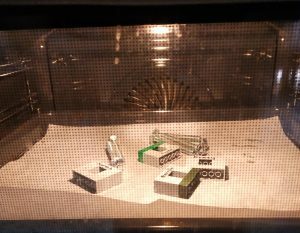 The idea that we can leave something glued in our car on a hot summer day led us to the test of putting our glues structures into an oven heated to 122F for an hour. Same like in the water resistance test we checked by eyes and hand only. We hate the ugly plastic remains that spill from all sides or cloud our stuff. We needed to check that those can be easily removed by using a standard nail polish remover. There was much less spill on the Gorilla sample. 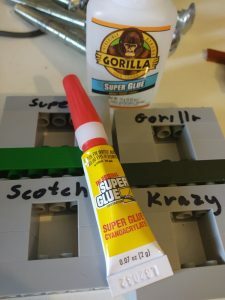 The original super glue left some kind of dust like remains. Final result: A win to the Gorilla, the rest require some carefulness when applying. One of the important aspects for a day to day use. You have to know that you can trust your glue after only a short time of holding it. Yes, we know about giving it time to completely dry up but this is a fast glue and we want it to work fast. Official numbers on the Gorilla glue state 10-45 seconds so we have decided on 30 seconds and immediately try to break the bonds. 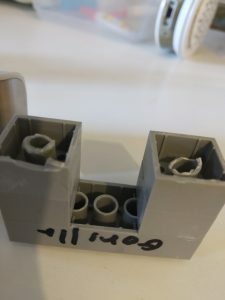 In this case, the Krazy glue was the most problematic and especially on the metal test. We believe that even after 2 minutes we could have touched on non-dried areas. One area that we really wanted to check but avoided is the healing properties of super glue. We are not doctors, or EMTs or anything like that so we are anywhere near being qualified to deal with those aspects. In other words… please ignore whatever we say in this part. 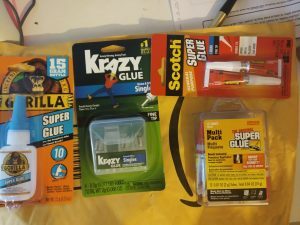 Different types of adhesives from the various vendors. We do not have the time and resources to check them all. We tried to stick with the very basic super glue. Can superglue really help with blisters? 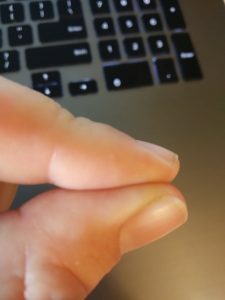 How to deal with superglue burns? First, you have to know that it is completely possible to be burned by super glue. There are official reports about those cases where sensitive skin reacts to super glue in the same way it reacts to hazardous materials. Why take any chances? Just assume it not safe to the skin and remain on the safe side. 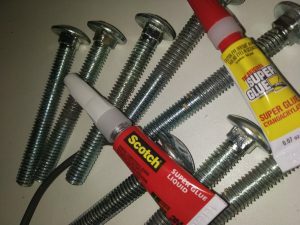 Is super glue toxic for cuts? Based on our online research we learned that Cyanoacrylate is safe and has been used for medical purposes for a long time. Yet reading the products labels there are so many warnings that don’t really let us relax on using this cement for emergency treatment needs. Science projects and little home fixes come next. Stuff at home usually requires a little stronger materials but the fast drying is a great feature that helps nail problems. Next Next post: How to repair a crumbling concrete wall?